What If The Negligent Driver Was Not The Car Owner? When the accident is caused by a non-owner, but the driver had permission of the owner to drive the car, the owner’s insurance will cover the accident and all injuries related to it. In that case, any lawsuit filed will be against the driver, but the insurance company will step up to defend the case. The lawsuit can also include the owner of the car if that owner knew or had reason to know that the driver was a dangerous driver. That is a very high bar, and requires a clear showing that the negligent driver had a history of accidents that the owner should have known about. When the negligent driver is specifically excluded on the insurance policy, or if the negligent driver did not have permission from the owner to drive the vehicle, then that insurance coverage will not apply. This often happens in situations where the car is stolen. 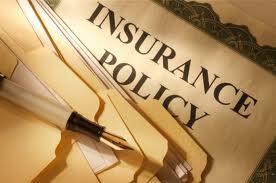 Typically, the only source of coverage in a situation like this is through the uninsured division of MAIF. When an auto accident is caused by a driver who is employed and on the job, the driver’s employer is typically going to be on the hook for all damages and personal injuries. In Maryland, the driver is treated as an extension of the company–a lawsuit will typically be filed against the driver, individually, and the company, as employer. That company’s insurance coverage will apply to all claims. Tagged: "auto accident insurance coverage"